8″ Superior Logs pre-cut Fire Island Visitor Center above ground footers with metal roof and base trim all suplied by Superior Products, Inc.
Front view of the Anvik Community Center built by the Village. 4,384 sq. ft. Anvik Community Center in our 8″ pre-cut logs; all designed & supplied by Superior Products, Inc. and built by Anvik. A front view of the Mat-Su Visitors Center from Mile 1 Parks Hwy. shows the public what Alaska is about. The Mat-Su Visitors Bureau offers all types of tips for the Mat-Su guests while visiting the Valley. The 2,400 square foot Phillips Tours visitors offices are located in Whittier. It is a magnificent setting for our 8″ Superior Logs & Phillips Tours customers awaiting the water tour. The 2,400 square foot beautiful Alaska Railroad Depot at Denali Park welcomes visitors from all over the World as they depart within the Park. Our 8″ Superior Logs were assembled by a frame contractor who had never built with logs before. They erected the logs following our instructions only!! We recently provided our 8″ Superior Logs “Authentic” half log siding for an attached his & hers restroom facility. The remote Lake Creek Lodge serves clients well. 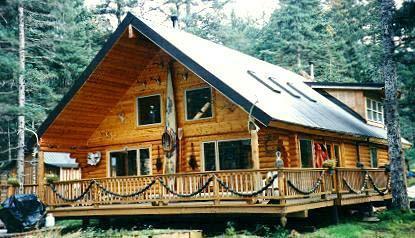 Our 8″ Superior Logs keep them warm & dry while they enjoy our Alaskan sports activities. Our packages are “Simple yet Superior”!! 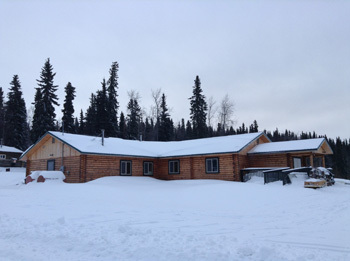 The 6,000 square foot Tyonek Tribal Council Headquarters welcomes visitors to the village. The design is 6 sided with 3 prow front wings. 8 villagers assembled our 8″ Superior Logs 8′ & 10′ walls in 5 days. There are no saddle corners in the building!! 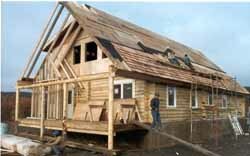 They used our 8″ Superior Logs “Authentic” half log siding for the gable ends. The 2,000 sq. 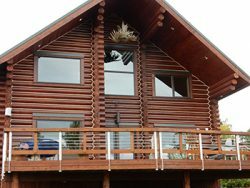 ft. Muskomee Bay Lodge was designed, made & supplied for the owner in 8″ “Superior Logs”. From the wood foundations to the metal roof with 1/2 loft, skylights, 1 x 6 T & G knotty pine trim, log stairs & 12′ covered front deck. The 11,000 sq. 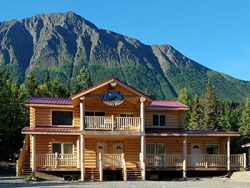 ft. Kenai Princess Lodge is our 8″ Superior Logs & Superior Logs “Authentic” Half Log Siding. The lodge has gourmet kitchen & restaurant, meeting rooms, bar, huge river rock fireplace in the cathedral ceiling lounge & offices in the 1/2 loft. 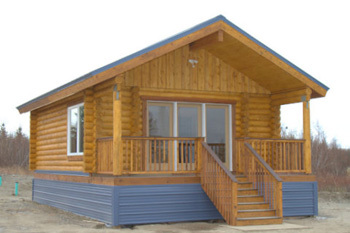 No one can tell the difference from our full logs and log siding!! Can you?? 3,000 SQ. FT. 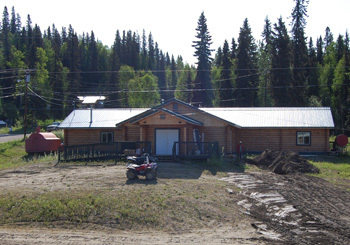 Pilot Station City Offices in our pre-cut 8″ Superior Logs were erected within 15 hours by villagers. Complete exterior shell package, including foundation, was built in 3 weeks. The Talkeetna U.S Post Office in our pre-cut 10″ Superior Logs stacked 10′ high and is 3,400 SQ. FT.